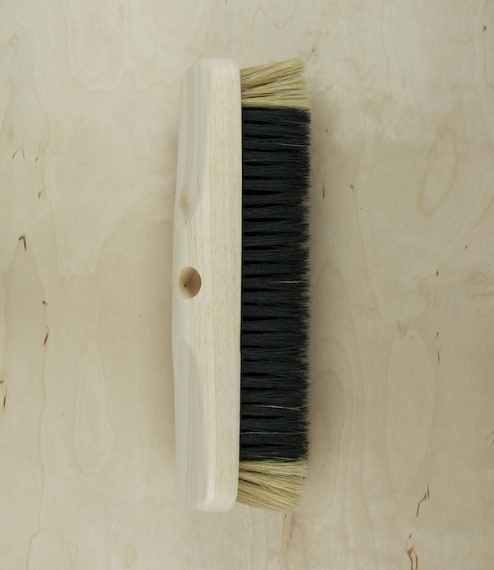 A pure black and white hogs bristle broom head, resin set by hand in to an oiled hardwood stock. 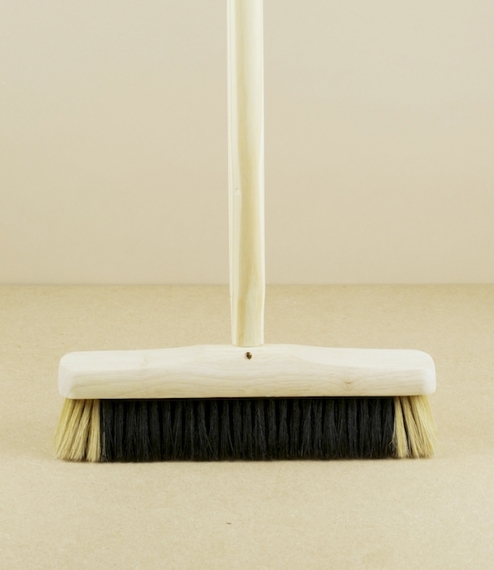 Perfect for sweeping hard indoor floors, the natural bristles generate less static than similar synthetic brooms, and tend in time to wear away, rather than ball at their tips, giving a longer effective lifespan. 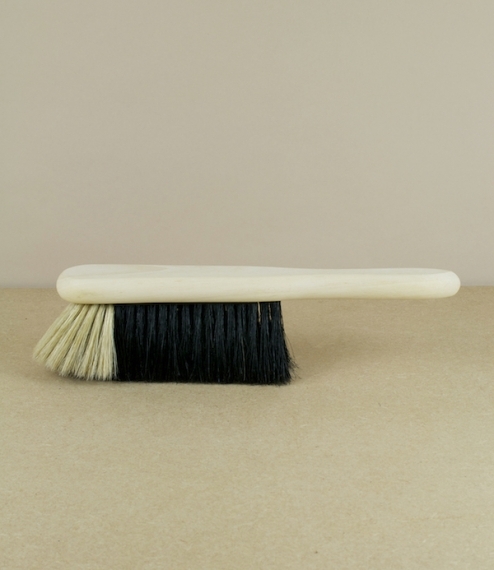 From the company of R. Russell who have been manufacturing brushes in Chesham, Buckinghamshire for 6 generations, since their founding in the annex of a local tavern sometime in 1840. 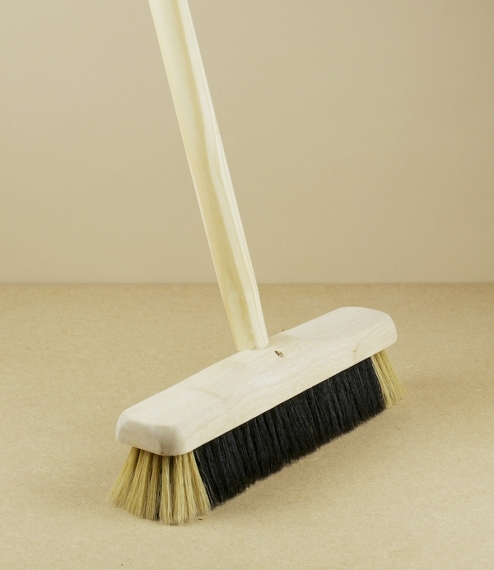 Supplied without a handle.